There are tiny blood vessels or capillaries just under the skin. When they dilate they become noticeable. These spider veins or broken capillaries on the face are most common on the central area of the face, the cheeks, nose and temples and below the eyes. They can look like a series of lines, tree branches, the Nile river and its tributaries, or a spider-web pattern. Their color is usually red, but some larger lesions may be bluish. 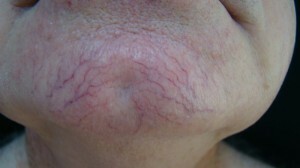 Most patients come to see Dr. Kaminester for such unsightly facial blood vessels because of cosmetic concern. Common causes of such dilated facial vessels are chronic sun exposure, heredity, rosacea, pregnancy, birth control pills, hormonal changes and injury or trauma to the skin. They are seen in men and women, and even children, especially after trauma in children. Doctor Kaminester is an expert at treating these lesions with radio-waves. High frequency radio waves are transmitted along a very tiny wire that is inserted into the facial capillaries. It destroys the vessel with minimal damage to surrounding tissue. Dr. Kaminester finds there is almost never any bruising. The benefits of radio wave are speed and effectiveness. One or two sessions are usually sufficient for removal of these vessels. The pain is minimal (a tingling feeling), and topical anesthetic can be used if desired but is rarely needed. Dr. Kaminester is such an expert at getting excellent results using this technique that the Ellman company that manufactures the machine for international use has chosen Dr. Kaminester’s photos of before and after treatment of patients for their educational booklets. How does radio surgery work? Radio surgery is the passage of ultra-high frequency radio waves into the skin to eliminate facial veins. The term “radio” surgery is used since the frequency is higher than AM radios but lower than the frequency of television. Radio surgery makes very fine precise gentle punctures. The micro-insulated wire is inserted into the unwanted vein. Only the tissue cells immediate adjacent to the electrode are destroyed. How does radio surgery differ from other procedures for removing facial veins? Lasers and cautery are less delicate than radio surgery and can cause excessive tissue burns. This causes slower healing with more redness and inflammation. Laser can also cause telangiectatic matting, which means the vessels are broken up but still present, resulting in a matte or tiny patchwork of red vessels in the area where there were just long strands before the laser treatment. Sclerotherapy, the injection of fluids to scar down the veins, works better for the larger veins of the lower legs. It does not work well for the very tiny vessels of the face, and there can be complications including scarring. Doctor Kaminester performs this radiosurgery procedure almost dally in his office in North Palm Beach. The procedure take only a few minutes, bleeding is minimal to non-existent, and the benefits are immediately visible! Patients of Dr. Kaminester are most often shocked and delighted at how quickly and effectively this procedure has improved their appearance! There is no scarring or swelling. There is no need to prepare for this procedure. 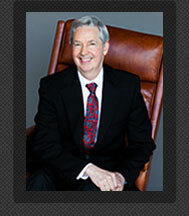 It is available to any of Dr. Kaminester’s patients who desire to improve his or her appearance. 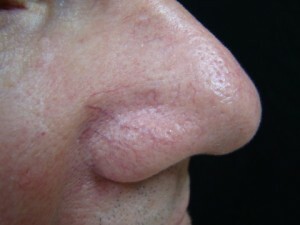 It is the effective comfortable way to remove facial veins with minimal recovery time.